This specially designed orthopedic cushion helps relieve back pain by reducing pressure on your spine and coccyx. The cut-out section eliminates painful pressure on your tailbone, and the gently sloping wedge shape helps to correctly align your spine. 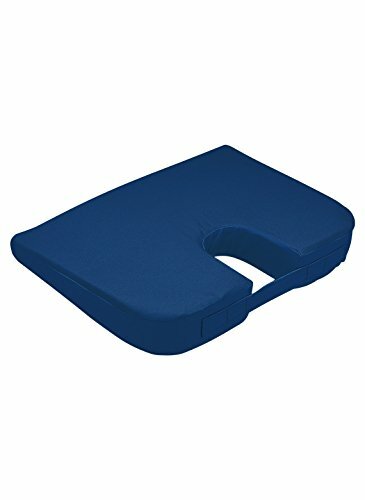 Comfortable foam cushion is 18" wide. Ideal for home, office and travel. Lumex 8220228 Basic Wedge Cushion, 22" x 18" x 3-1/4-4"